An Arlington, Va., woman allegedly falsified welfare applications to receive more than $100,000 in benefits while her husband raked in a $1.5 million lawyer’s salary. 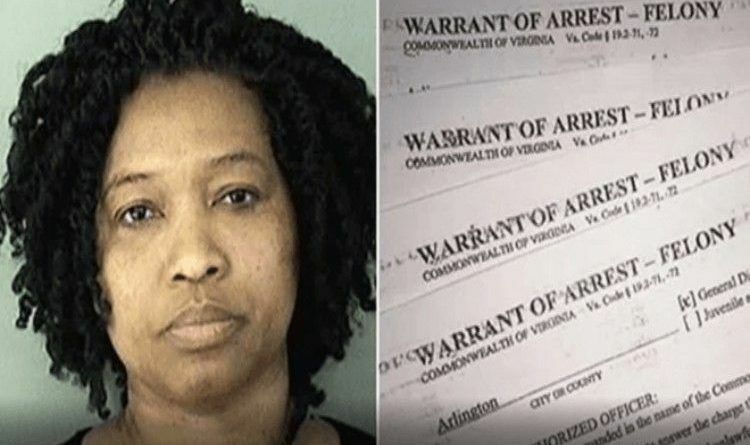 An Arlington woman was arrested this week and charged with four counts of welfare fraud for collecting over $100,000 in benefits – all while her husband was a high-earning attorney in D.C., police say. Police say a six-month investigation into Helen Agbapuruonwu, 41, found that the mother of four had collected benefits like food stamps and Medicaid assistance for the past six years. While Helen was collecting benefits, her husband, Fidelis Agbapuruonwu, was earning $1.5 million per year as a lawyer, according to court documents obtained by News4. In 2001, Fidelis received the prestigious Paul and Daisy Soros Fellowship which helped pay his way through law school. The director of the pre-school the Agbapuruonwu’s children once attended said she is shocked by the allegations against a family. “I have to believe it’s not true,” she said. Helen Agbapuruonwu’s defense lawyer declined to comment. Police say they hope this case is a deterrent to anyone who thinks about trying to cheat the system. “We hope it sends a message that if you are taking public assistance it’s truly intended for those in need, and we’re committed to ensuring those who need the most help receive it,” said Arlington County Police spokeswoman Ashley Savage. How deep does welfare and food stamp fraud go? Immigrants aren’t even primarily coming here to work anymore, but to exploit our welfare system. Sure they might work or cohabitate with those that do who should be supporting them. The fact that this woman was able to abuse the welfare system for 6 years undetected is outrageous. I am not so sure if she really went undetected. I really doubt if those who are handing out the benefits care. It’s not their money and they don’t lose their jobs for wasting taxpayers money. Facebook is cracking down on Conservative content. Many of you have complained that you never see our content in your newsfeeds. When you share with your friends, however, you greatly help distribute our content. Please take a moment and consider sharing this article with your friends and family and on your Facebook wall or other social networks that you use! Thank you.